"Since the introduction of the agency model many more independent booksellers are selling e-books, and those sales have shown steady growth. 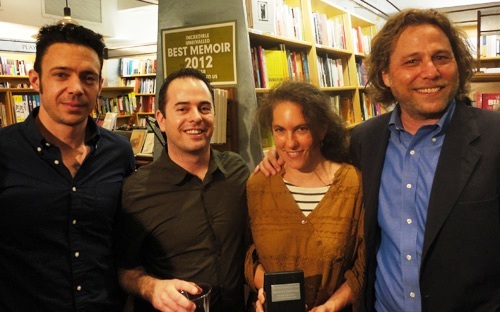 The agency model has lowered prices to indie bookstore customers, and indies themselves have seen significantly increased price competition among publishers in regard to promotions, discounts, and special offers, all of which have allowed bricks-and-mortar bookstores to offer customers a wider array of titles at a greater value. "If the agency model goes away for a significant period of time, there is every reason to believe that Amazon will again price below cost and increase its e-book market share. We believe this can only be bad news for the reading public, resulting in a cultural landscape offering a far less diverse range of titles being published and a much-diminished range of publishers." in an e-mail to member stores urging them to make a public comment about the Department of Justice consent decree regarding the agency model. In February, net sales of books rose 13.3%, to $655.5 million, as reported by 1,191 publishers to the Association of American Publishers. For the year to date, net sales rose 12.1%, to $1.7 billion. Children's e-book sales for the month rose dramatically as more illustrated books were published in that category. By contrast, adult e-book sales rose "only" 9.9%, down from the triple-digit gains of the past few years, as that medium becomes one of the standards for adult titles. Pottermore's online bookstore sold £3 million (US$4.8 million) worth of Harry Potter e-books during its first month, and five million new users have been added to the website since its official launch on April 14, the Bookseller reported. "Over the past two weeks we've seen sales settle down, but they remain very significant, and way beyond what we originally budgeted for," said Pottermore CEO Charlie Redmayne, adding that sales of the physical books had also increased. The Bookseller noted that Redmayne credited the site's "light-touch Digital Rights Management" for diminished piracy concerns after an initial flurry of illegal downloads: "Obviously there were fears piracy would increase as a result of being DRM-free, and that sales of the e-books would cannibalize sales of the physical titles, but we were delighted to see sales of the physical books go up, and piracy come down.... We have demonstrated that if you make these books available in the way that people want them, and on a platform that is accessible to them, and at a price they are happy with, then generally people will choose to buy them." During the first two weeks of the "Harry Potter experience" on Pottermore, there were 22 million visits from seven million unique users, generating more than one billion page impressions, "with the average user visiting 47 pages, spending 25 minutes on the site," the Bookseller wrote. "Given how we launched it, at 8:15 in the morning when most people were asleep, almost anti-marketing it, we were very pleased. It has been amazingly successful and shows the power of the Harry Potter brand," Redmayne said, adding that the second book in the Potter experience, The Chamber of Secrets, is still weeks away, but the site will be adding new interactive elements and community tools soon. 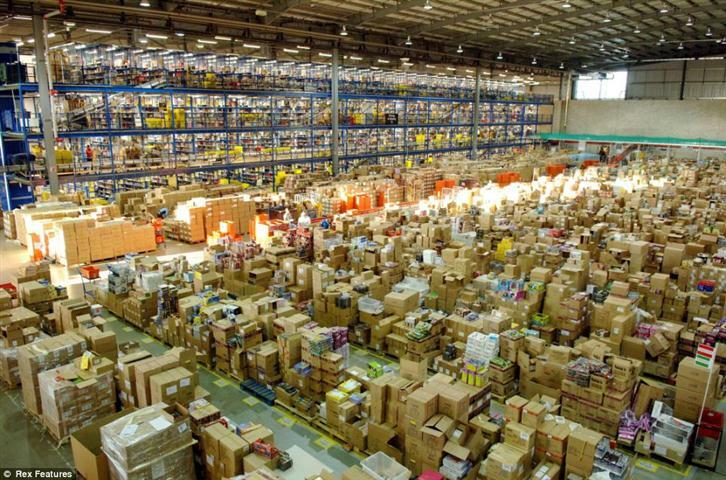 Last week Amazon unveiled plans to build a one-million-square-foot distribution facility in Patterson, Calif., as well as a 950,000-square-foot fulfillment center in San Bernardino. Sacramento's News10 reported it had confirmed "one of the worst kept secrets in Stanislaus County. The company involved in Patterson's Project X is indeed the online giant Amazon.com." The warehouse is expected to bring 1,000 full-time jobs and 300 to 400 seasonal jobs. "One of the things that really needs to happen in our county is we need to diversify our economy. Agriculture will always be a huge part of our foundation, but we need to diversify and Patterson is really establishing itself as a center for logistics, distribution," said city manager Rod Butler. The San Bernardino facility, which will be located at the site of the former Norton Air Force Base, is also expected to provide more than 1,000 full-time jobs as early as this fall, the Press-Enterprise wrote. Analyst Colin Sebastian of Robert W. Baird "believes these moves will significantly step up the company's ability to provide rapid delivery in the state's key markets, with same-day service possible in some cases. This may offset the likely scenario that Amazon will begin to collect sales tax on California purchases, which the analysts expects will begin happening sometime next year," MarketWatch wrote. Frank Pearl, who founded Perseus Books Group in 1997 and was chairman of the company, died last Friday. He was 68. He was also the head of Perseus LLC, a private equity firm that has investments in a range of companies. The Wall Street Journal called Pearl a "leveraged-buyout pioneer" and said he founded Perseus Books Group "to ensure that books he was interested in reading wouldn't go out of print." Perseus CEO David Steinberger wrote that Pearl founded Perseus "with a vision for a different kind of publishing company, an independent company that could have a real impact on the world. He possessed the confidence and tenacity to see that vision realized. For those of us who had a chance to work closely with him, he was a great help, available day and night to talk through a challenge or strategize about an opportunity. He was also immensely proud of the company and its many accomplishments. He cared deeply about the company--its books, its authors and its people. And he had a profound appreciation for the written word and its potential to change lives." John Schwieters, former vice chairman of Perseus LLC and a member of the Perseus Books Group board, is succeeding Pearl as chairman. DK Publishing celebrated Star Wars Day last Friday with a major social media campaign, a trivia contest with all kinds of prizes and employees bedecked with Star Wars button, stickers and sunglasses. 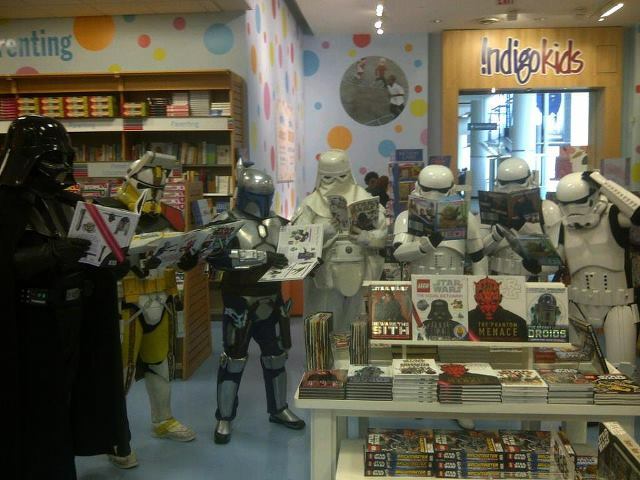 In Canada, a land not so far, far away, the 501st Legion celebrated with the company at Indigo/Chapters stores, where for each book sold over the weekend, DK made a donation to Indigo's Love of Reading Foundation. Fulton Ryder, the "enigmatic New York publisher and private bookshop" founded by artist Richard Prince, "has been captivating us with their Tumblr snapshots of rare and fascinating cultural fragments," noted Flavorwire, which asked for "a closer look at their collection of books, manuscripts and counterculture collectibles, and they were kind enough to allow us a peek." 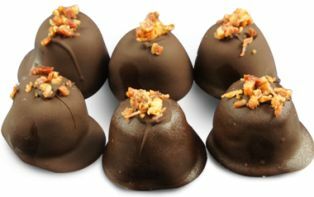 How about some bacon brownies, chocolate coconut bacon or white chocolate bacon pretzel rods? Books of Wonder children's bookstore in New York City "is playing host to the Baconery, a previously online-only outfit that specializes in bacon-themed sweets," Page Views reported. Jonathan Drucker, the bookshop's marketing manager, said the partnership will allow Baconery proprietor Wesley Klein full use of shop's café kitchen. Drucker hopes this will become a "permanent arrangement," though he admits the bacon production does cause a "rather unctuous" smell in parts of the store, Page Views noted. 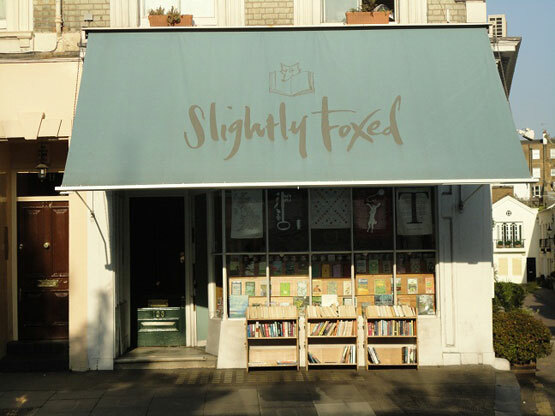 New York Social Diary's Delia von Neuschatz showcased her 10 favorite London bookshops, noting that these are indies that "continue to delight bibliophiles from all over the world. These havens from the 'madding crowd' are staffed by attentive men and women who are passionate about books and have actually read the volumes they recommend. Whether browsing for yourself or looking for a unique gift (and not just of the literary kind--think perfume, original artwork and customized maps, among other things), the bookshops I've come across in London will not disappoint." The Scribblings of a Madcap Shambleton by Noel Fielding (Canongate U.K./Trafalgar Square Publishing), from the star of the Mighty Boosh. Today on NPR's Diane Rehm Show: Thomas Mann and Norman Ornstein, authors of It's Even Worse Than It Looks: How the American Constitutional System Collided With the New Politics of Extremism (Basic, $26, 9780465031337). 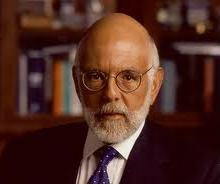 Also on Diane Rehm: Andrés Neuman, author of Traveler of the Century (Farrar, Straus and Giroux, $30, 9780374119393). Today on the Wendy Williams Show: Vanessa Williams, author of You Have No Idea: A Famous Daughter, Her No-nonsense Mother, and How They Survived Pageants, Hollywood, Love, Loss (and Each Other) (Gotham, $28, 9781592407071). Tonight on the Colbert Report: Andy Cohen, author of Most Talkative: Stories from the Front Lines of Pop Culture (Holt, $25, 9780805095838). Tonight on the Late Late Show with Craig Ferguson: Steve Guttenberg, author of The Guttenberg Bible (Thomas Dunne, $25.99, 9780312383459). Tomorrow morning on the Today Show: Martin Sheen, co-author of Along the Way: The Journey of a Father and Son (Free Press, $27, 9781451643688). Tomorrow morning on Good Morning America: Elizabeth Gilbert, who wrote an introduction for a new edition of At Home on the Range, a 1947 cookbook by her great-grandmother, Margaret Yardley Potter (McSweeney's, $24, 9781936365890). Tomorrow on Live with Kelly: Stephen Colbert, author of I Am A Pole (And So Can You!) (Grand Central, $15.99, 9781455523429). Tomorrow on NPR's Diane Rehm Show: Robert Caro, author of The Passage of Power: The Years of Lyndon Johnson (Knopf, $35, 9780679405078). Tomorrow on the Martha Stewart Show: Sarah Copeland, author of The Newlywed Cookbook: Fresh Ideas and Modern Recipes for Cooking With and for Each Other (Chronicle Books, $35, 9780811876834). Tomorrow on the Tavis Smiley Show: Will Allen, author of The Good Food Revolution: Growing Healthy Food, People, and Communities (Gotham, $26, 9781592407101). Tomorrow night on the Colbert Report: Michelle Alexander, author of The New Jim Crow: Mass Incarceration in the Age of Colorblindness (New Press, $19.95, 9781595586438). Saturday Night Live joined the E.L. James bandwagon last weekend with a racy Amazon commercial parody. Francis Lawrence (Water for Elephants, I Am Legend) will direct Catching Fire, the sequel to the blockbuster film adaptation of The Hunger Games. He replaces Gary Ross, "who said in April that he felt he did not have sufficient time to prepare for and deliver a sequel on the timetable Lionsgate required," the New York Times reported. In a statement, Lawrence said he "fell in love with the characters" in the series by Suzanne Collins as well as "the themes and the world she created," adding that "this chapter opens all of these elements up in such a thrilling, emotional and surprising way." Justin Kurzel (Snowtown) is directing an adaptation of John le Carré's novel Our Kind of Traitor. Variety reported that Hossein Amini (Drive) wrote the script for the project, which will be produced by the Ink Factory and Potboiler Productions. "I instantly connected to the material," Kurzel said. "It's a contemporary, muscular thriller that felt really fresh, with subject matter and characters that were relevant and immediate to today. I'm interested in surrogate father-son relationships, which I also responded to in Snowtown, and saw similarities in the dynamic in Our Kind of Traitor." Kurzel added: "I have enormous respect for John le Carré and the last few films [based on his work] have been of enormous quality. I'm more inspired than intimidated, honestly. Our Kind of Traitor is a different type of le Carré, it's more visceral than Tinker Tailor Soldier Spy. Le Carré has been excited by and encouraging about our interpretation and where we want to take it as a film." The Ink Factory is also producing a film version of le Carré's A Most Wanted Man, with Anton Corbijn directing a cast that includes Philip Seymour Hoffman. James Beard award–winning chefs and restaurants will be named tonight. The complete list of award winners in all categories will be available on the James Beard Foundation website. The Right-Hand Shore: A Novel by Christopher Tilghman (Farrar, Straus & Giroux, $27, 9780374203481). "This tale opens in 1922 with Miss Mary, the stern matriarch of The Retreat--the massive Mason family property on the Chesapeake Bay--interviewing Edward Mason, one of two distant descendants of the original immigrant owner, as she decides to whom she will leave it all when she dies. Told in a series of vignettes, the homestead's proudest as well as most brutal moments are recounted by those whose lives are intertwined--for better or for worse--with the Masons and with The Retreat. A vivid and haunting look at the power of family and place by a master storyteller." --Jill Miner, Saturn Booksellers, Gaylord, Mich. The Gods of Gotham: A Novel by Lyndsay Faye (Amy Einhorn Books/Putnam, $25.95, 9780399158377). "It is 1845 in New York City and its first police force has hit the streets at the same time the potato famine has hit Ireland. As the Irish pour into the city so does the hatred, bigotry, and violence that Timothy Wilde, a newly hired copper star, is expected to eradicate. The Gods of Gotham transports the reader back to the sights, smells, sounds, and lingo of 1840s New York City utilizing vivid characters, a stunning setting, and language that will grab you and not let go." --Karen Briggs, Great Northern Books and Hobbies, Oscoda, Mich. It Happened on the Way to War: A Marine's Path to Peace by Rye Barcott (Bloomsbury, $17, 9781608194315). "Rye Barcott's unstoppable drive to do good in the world leads him to concurrent forms of public service. To serve the Kibera slum of Nairobi, Kenya, he co-founds the organization Carolina for Kibera (CFK). To serve his country, he joins the Marines and trains to be a Human Intelligence Officer. Drawing on his experiences and the people around him, Rye applies what he learns in Kibera to the challenges of the Marines, and vice versa. This book will restore your faith in humanity, and remind you how much impact one person can have." --Andrea Avantaggio, Maria's Bookshop, Durango, Colo. The Selection by Kiera Cass (HarperTeen, $17.99, 9780062059932). "In this dystopian setting that overlays a futuristic society with the things we love about old-fashioned fairy tales, Cass weaves an intriguing story with the perfect balance of real-world problems and romance. America is a young, proud girl with a big heart and a bit of a temper from an impoverished family and social class. She's a talented, self-respecting character who is great fun to follow in this fantastic Bachelor-type setting. I can't wait for the sequel!" --Larissa Genschaw, Children's Bookshop, Kent, Wash. 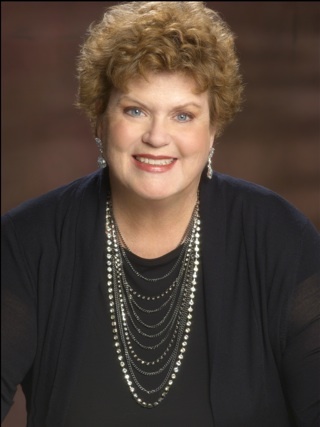 Since her television debut on HBO's True Blood, Sookie Stackhouse has become a household name, along with her creator, author Charlaine Harris. 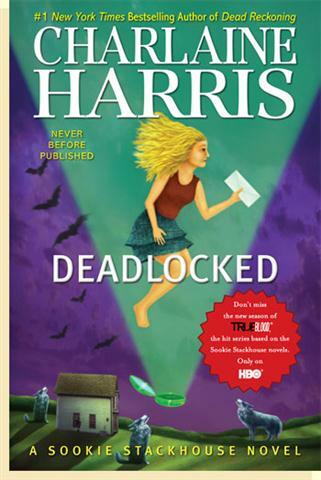 Deadlocked, the 12th and penultimate installment of the Sookie Stackhouse book series, was published by Ace on May 1, 2012. Harris has been a published author for 30 years and has most recently been nominated for an Agatha Award for The Sookie Stackhouse Companion. She is a native of the South and still lives there with her husband and several rescue dogs. Crucible of Gold, Naomi Novik's newest Temeraire novel. This is excruciating! Just five. Okay. Robert Crais, George R.R. Martin, Diana Gabaldon, E.E. Knight and Dana Stabenow. The Rook by Daniel O'Malley. The Fourth Wall by Barbara Paul. "Her name was not Catherine and she was not Russian." --from Zoe Oldenberg's Catherine the Great. Guilty Pleasures by Laurell K. Hamilton. "Most American artists, intellectuals and academics have lost their ability to converse with the rest of society," Dana Gioia said in a 2007 commencement address at Stanford. "We have become wonderfully expert in talking to one another, but we have become almost invisible and inaudible in the general culture." Gioia, however, is adept at writing poetry that is accessible to general readers, in the colloquial tradition of Robert Frost, Richard Wilbur and Billy Collins. Pity the Beautiful, coming 10 years after the Poet's Prize–winning collection The Gods of Winter, speaks in a relevant voice of today within the formal verse structures of the past. that we are given--horrible as they are. 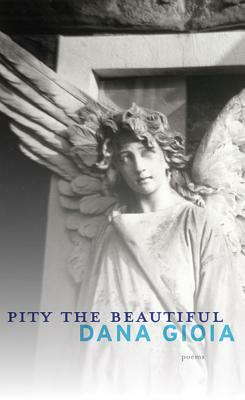 Arranged in five sections, the poems in Pity the Beautiful cover a broad sweep of subjects and forms. They include a few translations, four songs from a libretto and a longer poem of a love affair thwarted by ghosts. create a life made only of peak moments. We laughed. We drank. We argued and made love. if there are any secrets, which I doubt. Shelf Talker: The fourth collection of poems by the former NEA chairman is rich in subtle irony and well-crafted storytelling.